After a long, relaxing week of tanning on a cabana, overindulging in amazing food and exploring Mexico, I feel rejuvenated and ready to tackle the week! Thanks so much for following along with me last week on Instagram while I took a short blog break, but I'm super excited to be back at it. 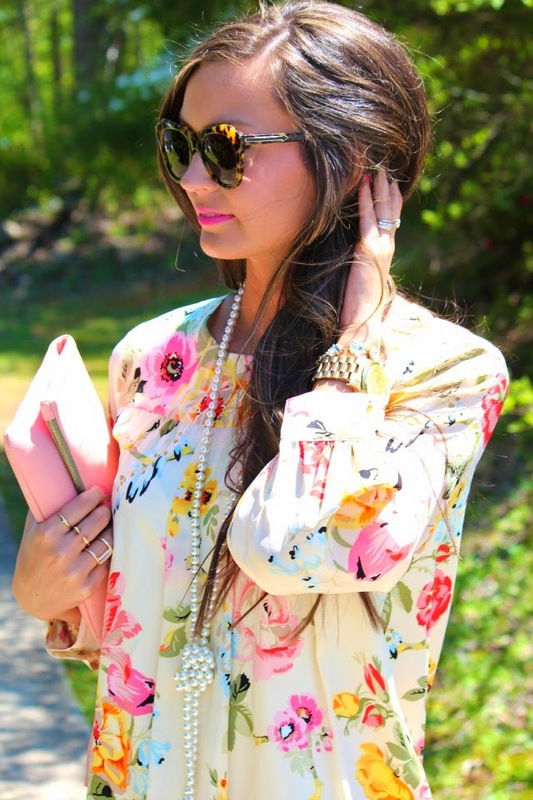 Today's look is a current favorite and so perfect for Easter. 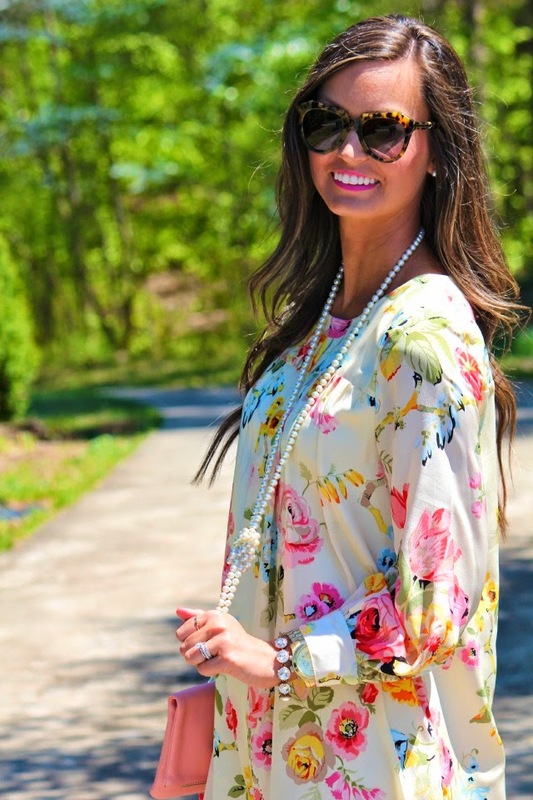 We had such beautiful weather in Greenville yesterday and I soaked up every minute of it in my Elle Lauri floral dress. Thanks so much for stopping by and have a lovely day, xo. SO pretty! floral looks great on you always! Love that dress! Looks so pretty with the Zara heels! Glad you had a great time. You got a killer tan lady and I'm loving that dress!!! I went on the website for the dress is yours the ivory floral or blue floral? Thanks! Stunning! That dress is perfect. Hope you had a wonderful Easter! That is the perfect Easter dress! I love it so much. I'm glad you had a great weekend! Sounds lovely! Welcome back - you look awesome! 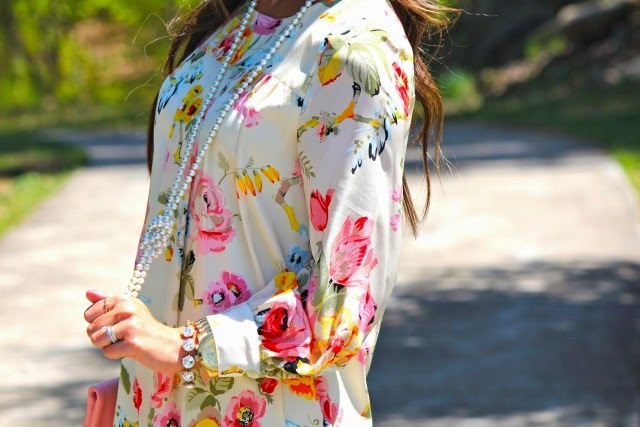 That floral print is so lovely! Welcome home! I love the chunky heel so much!